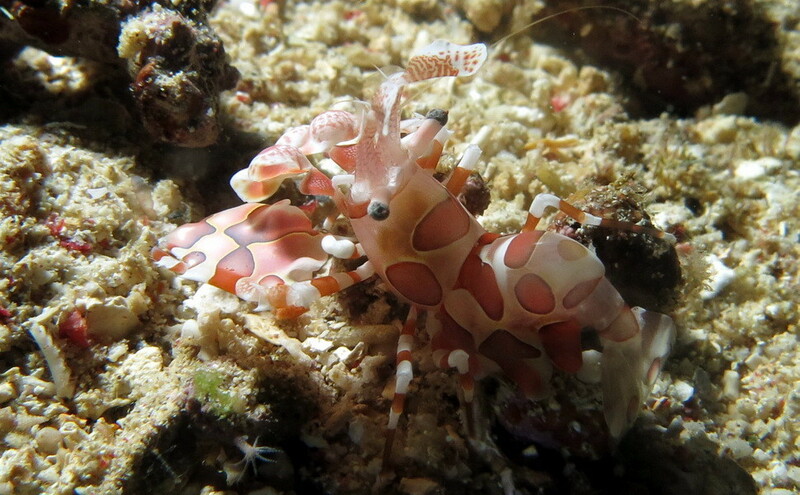 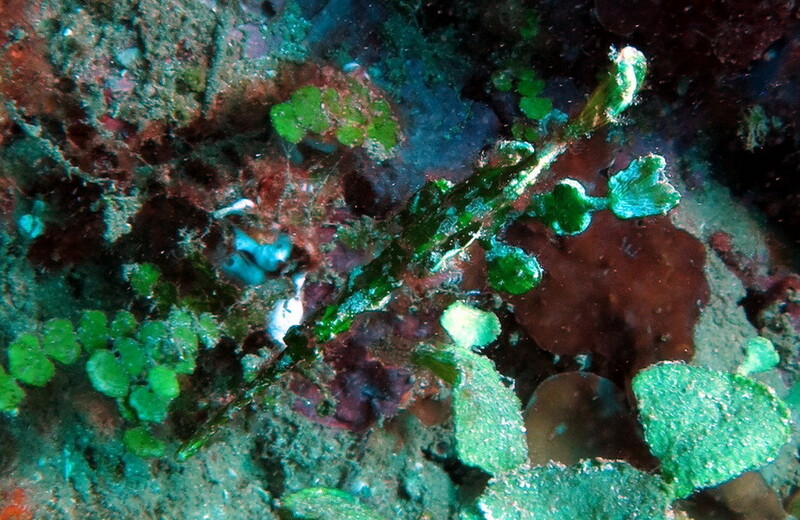 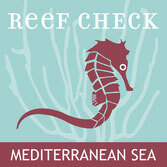 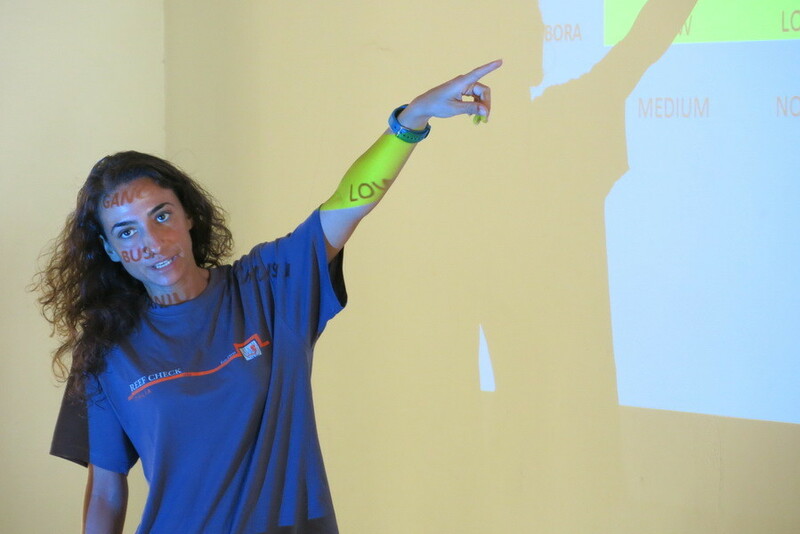 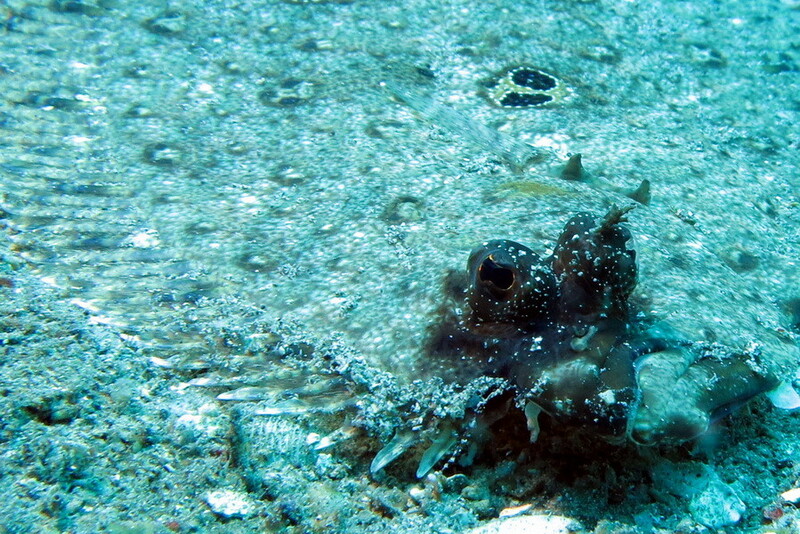 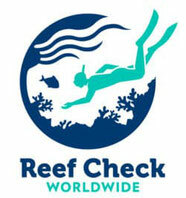 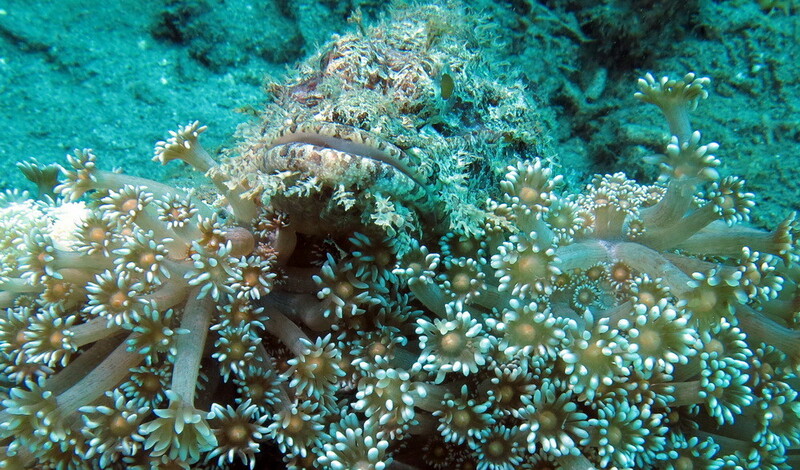 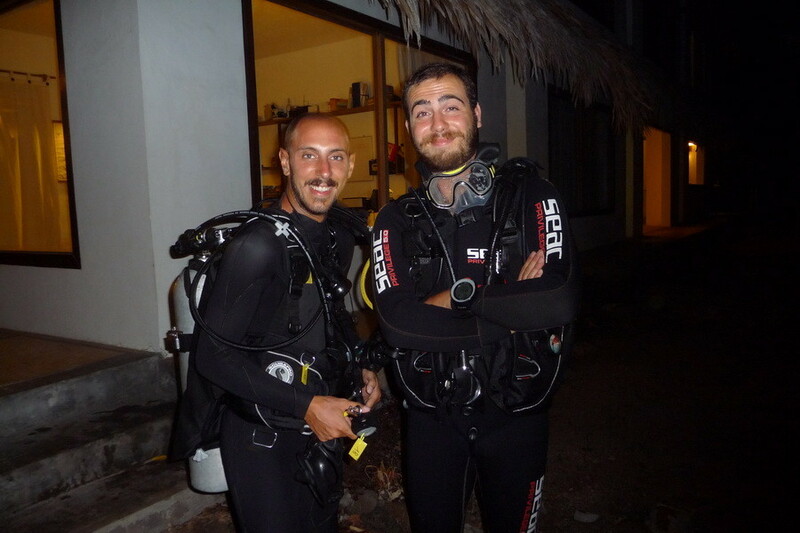 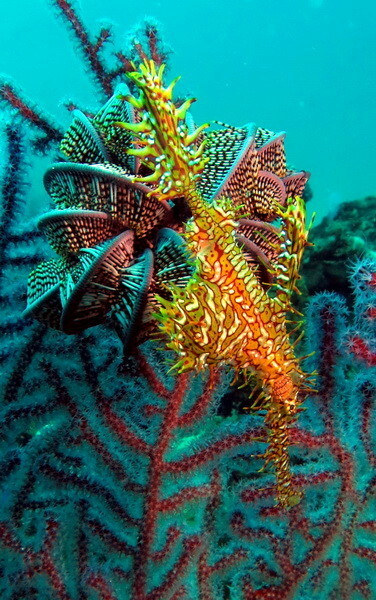 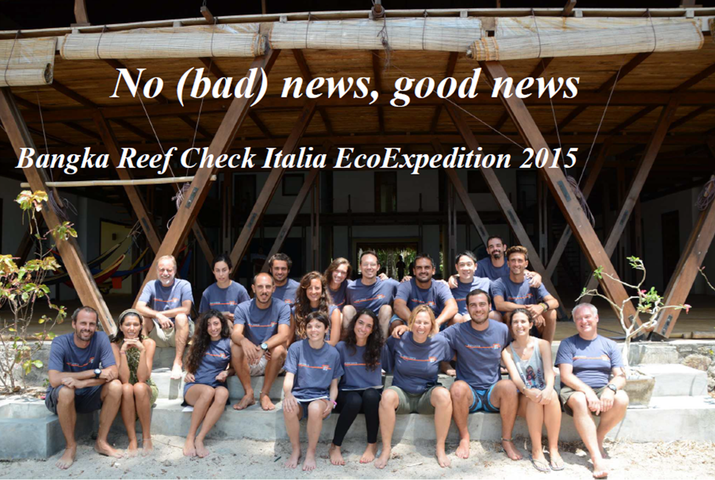 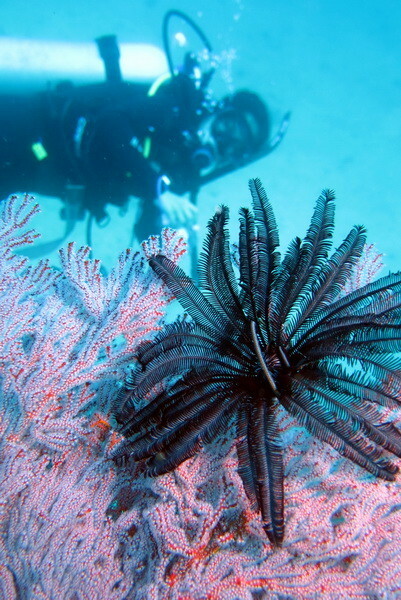 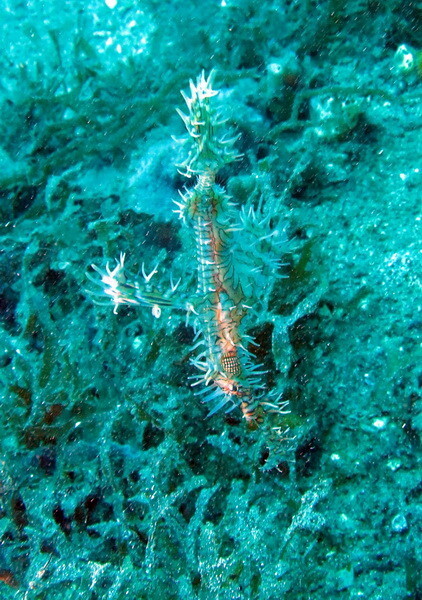 NO NEWS IS GOOD NEWS - BANGKA REEF CHECK ITALIA ECOEXPEDITION 2015 - Welcome on Reef Check Mediterranean Sea! 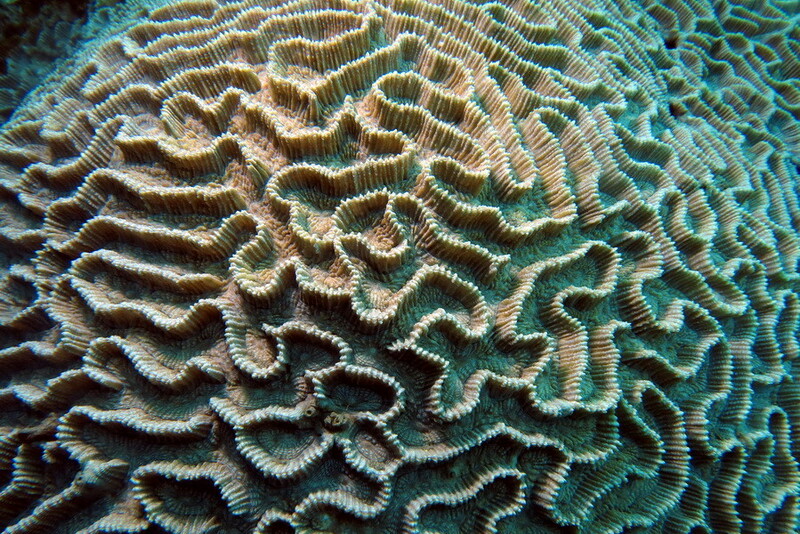 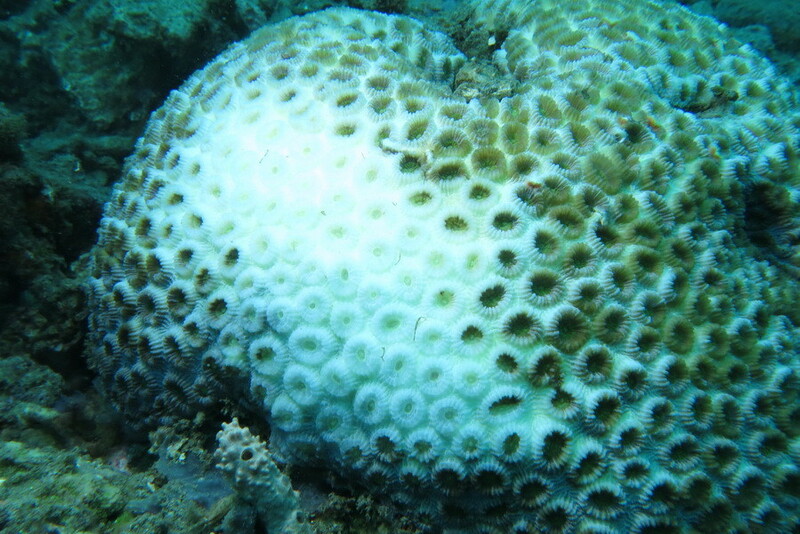 In the year in which researchers of a consortium, established by NOAA, XL Catlin Seaview Survey, The University of Queensland (Australia) and Reef Check, announced the third global coral bleaching event ever, the coral reefs of Bangka Island in North Sulawesi, Indonesia look like they are not affected at all by this phenomenon. 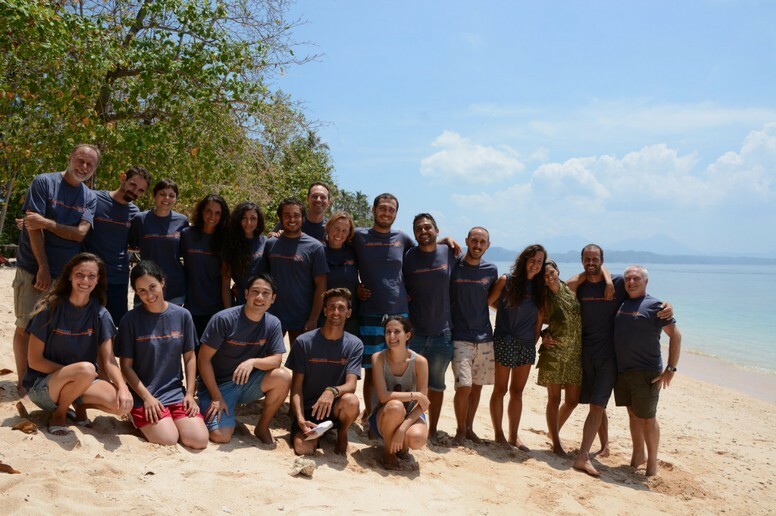 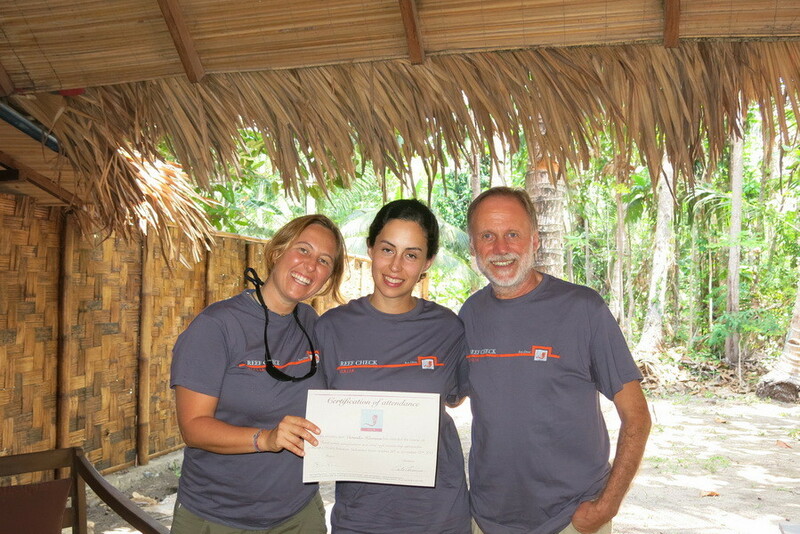 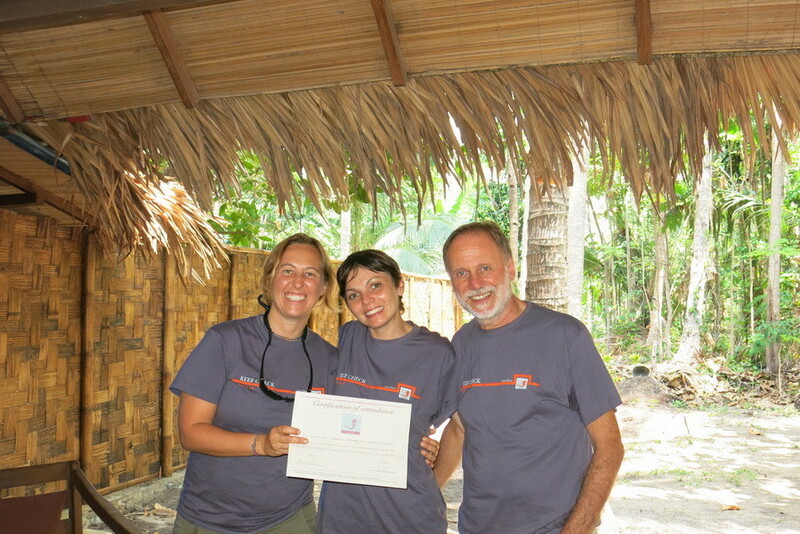 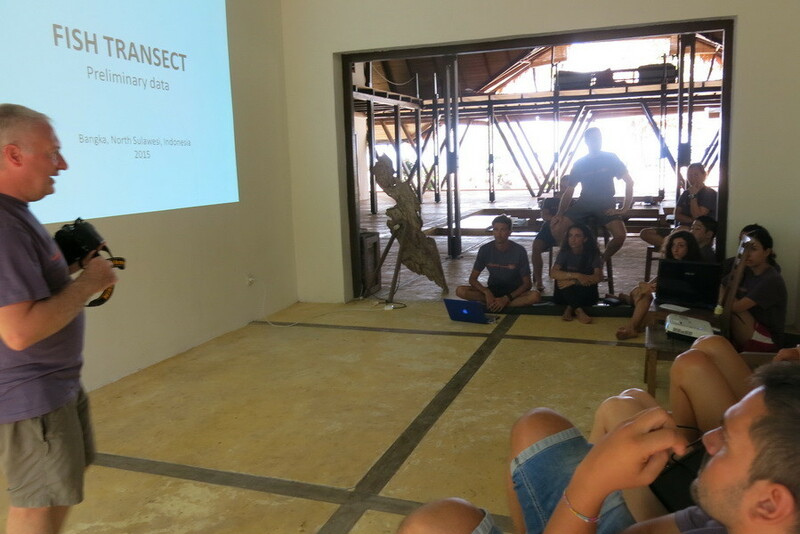 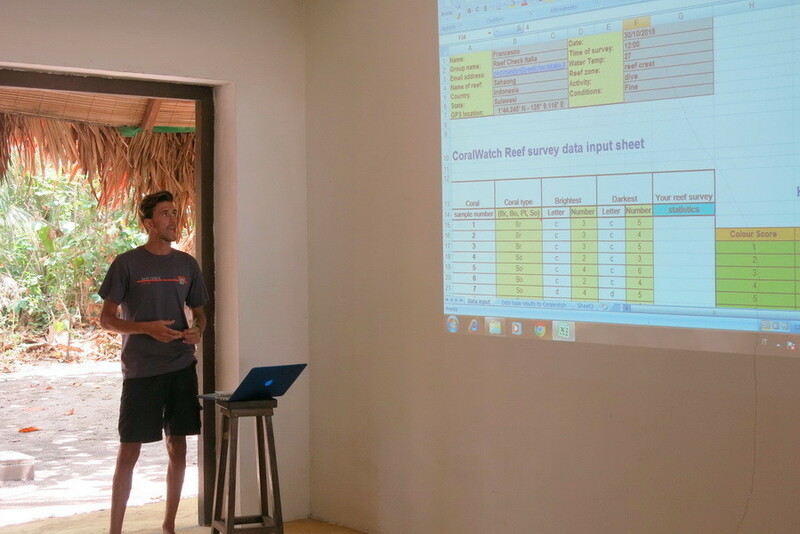 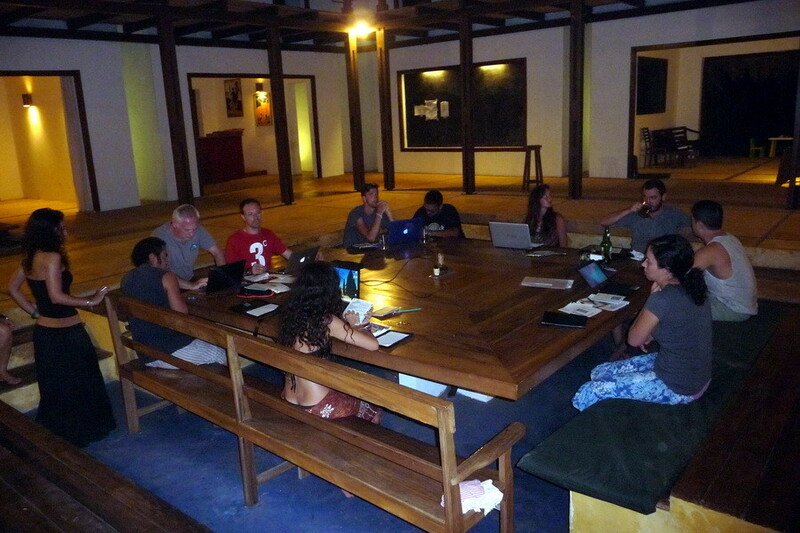 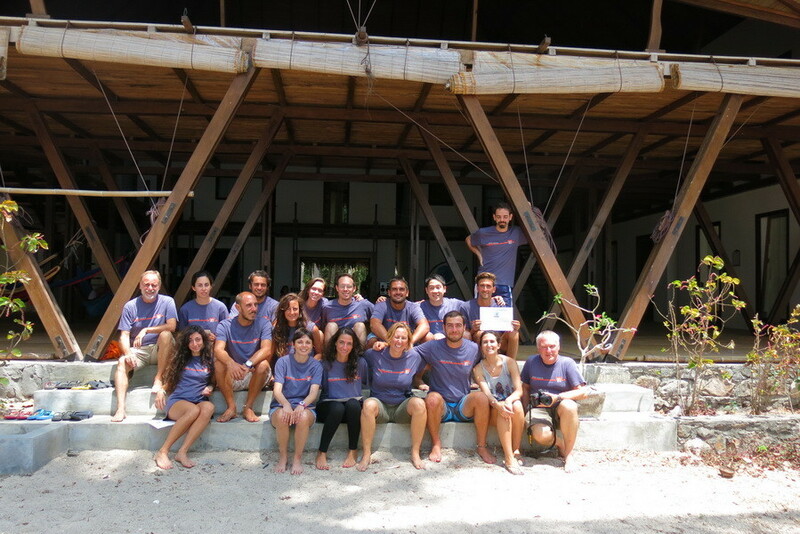 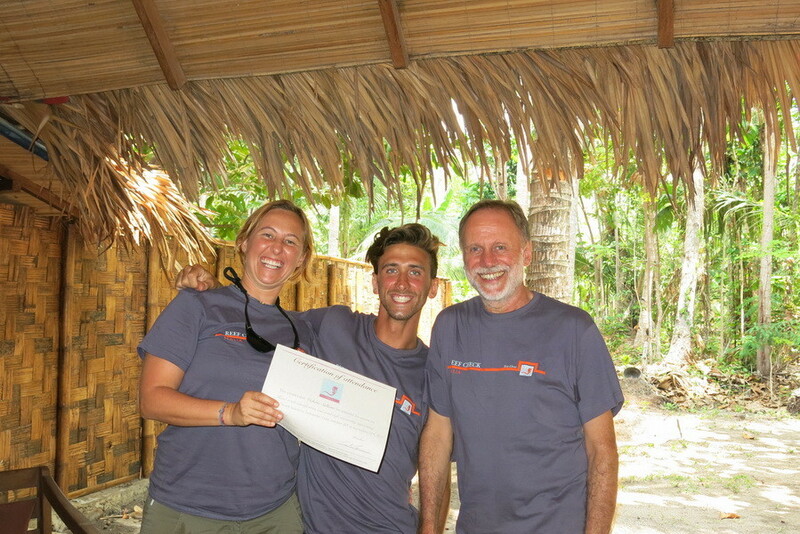 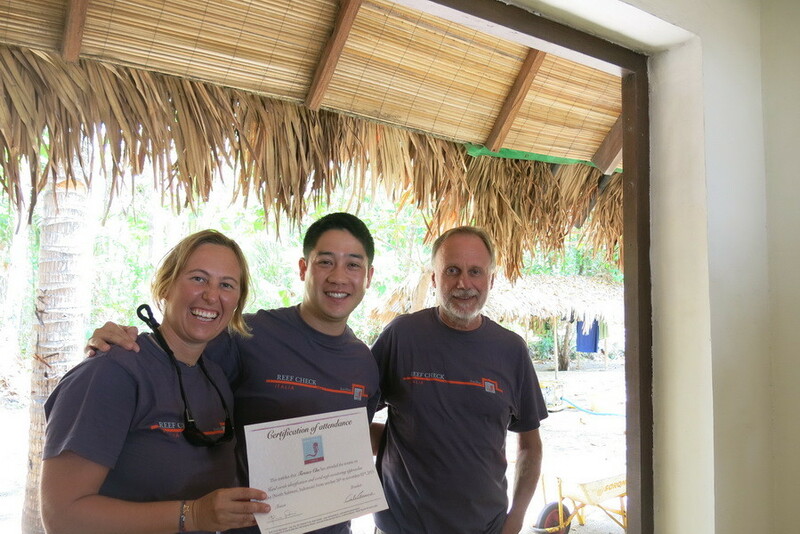 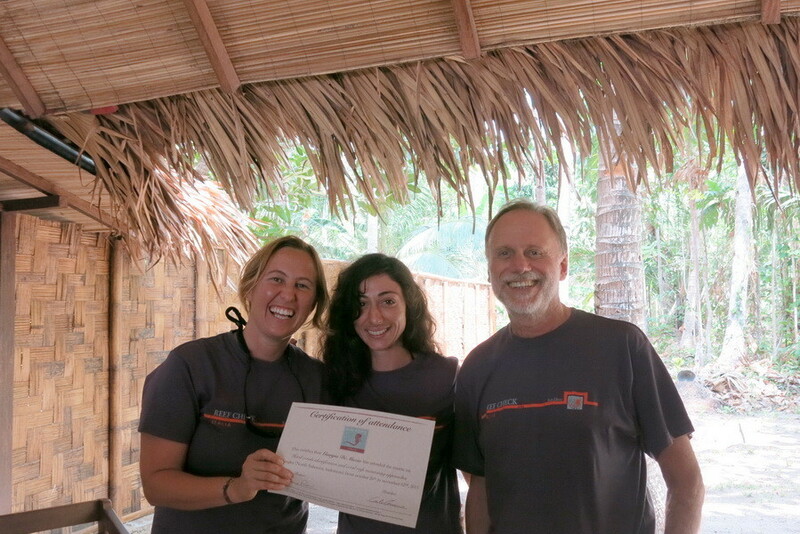 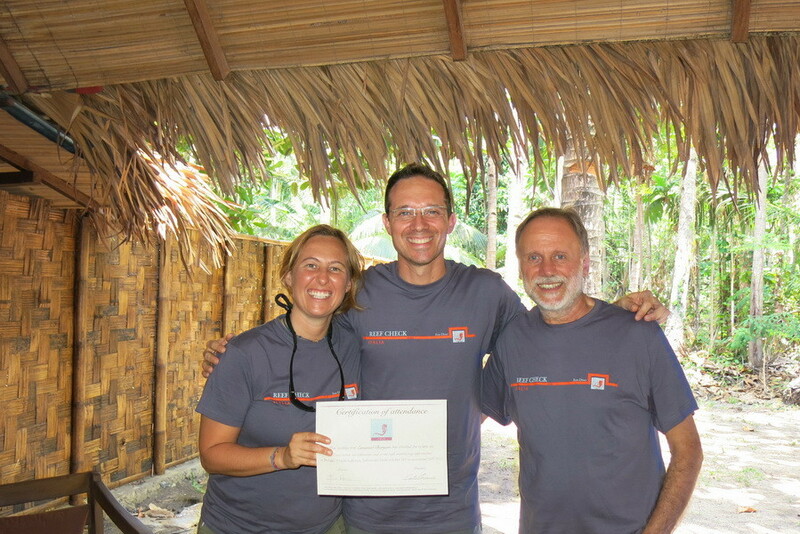 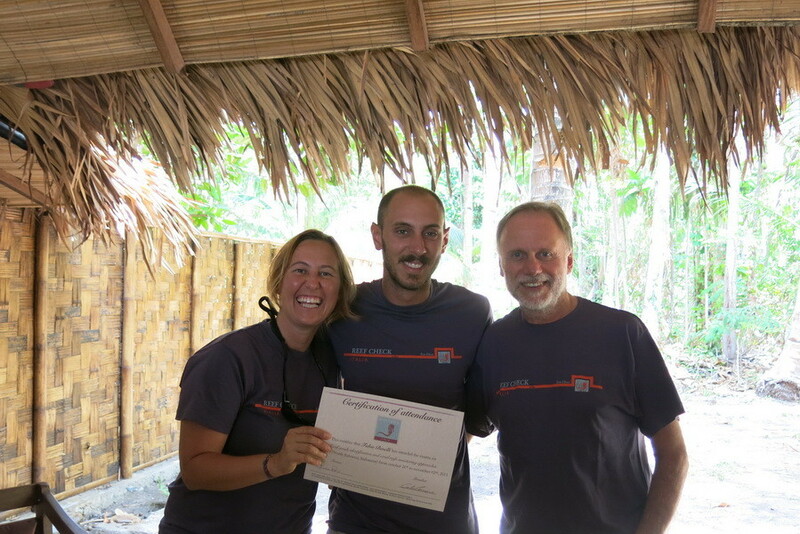 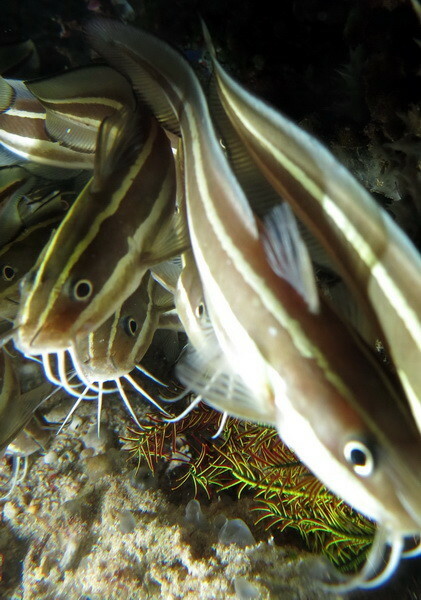 These are the evaluations that come from the recent expedition that Reef Check Italia has carried out, for the fifth year, at the Coral Eye Outpost in Bangka. 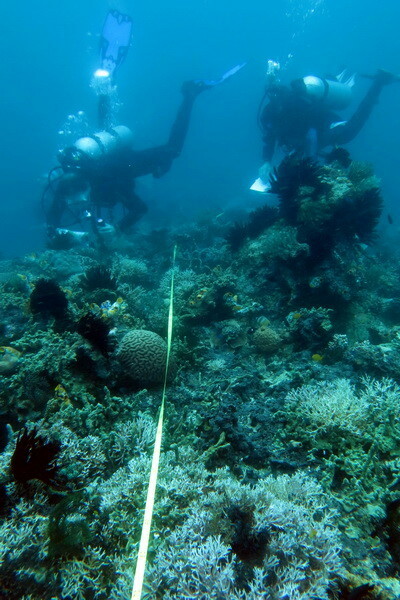 The unique and complex role that currents play in all the Indonesian Archipelago has brought this year, in this area, cold waters that have kept the water temperature below the seasonal average, saving this zone from the widespread bleaching phenomena that are affecting other parts of the planet. 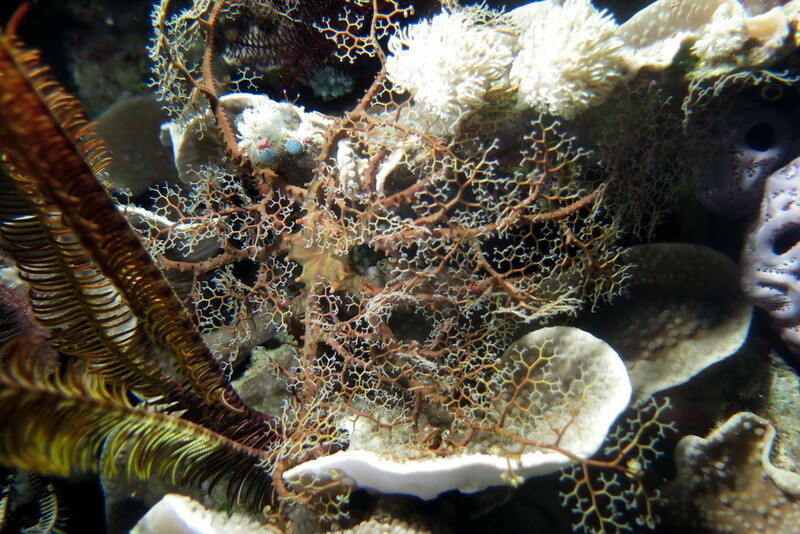 On the contrary, a great drought is devastating many land areas of Indonesia, especially with the aggravating circumstance of palm oil companies that are responsible for forest fires, with a practice of forest clearance known as slash and burn, where land is set on fire as a cheaper way to clear it for new planting. 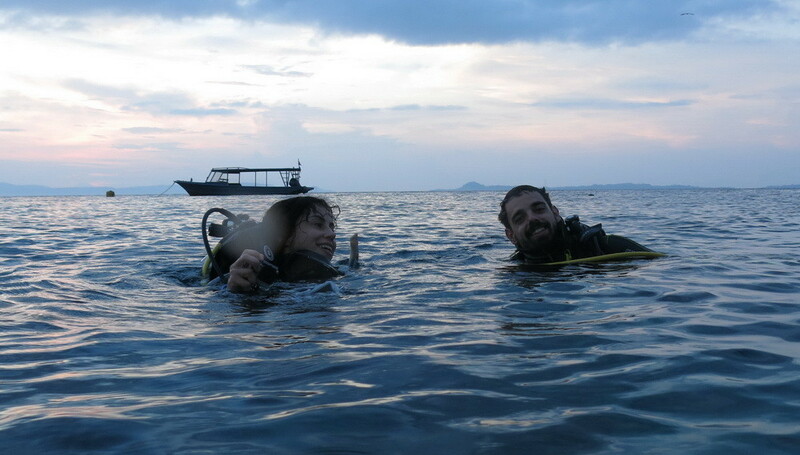 For the first time, volunteers from other countries, like Hong Kong and the USA, have joined our expedition. 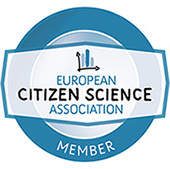 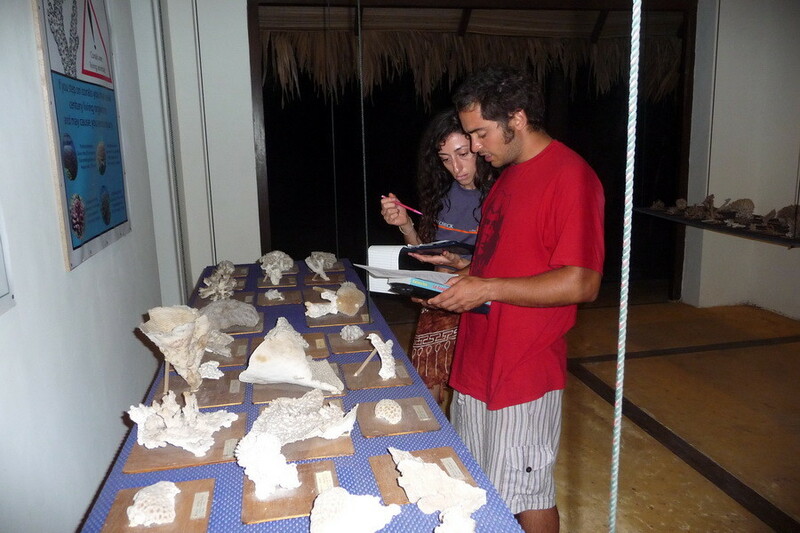 The result has been excellent and we hope others will join future trips. 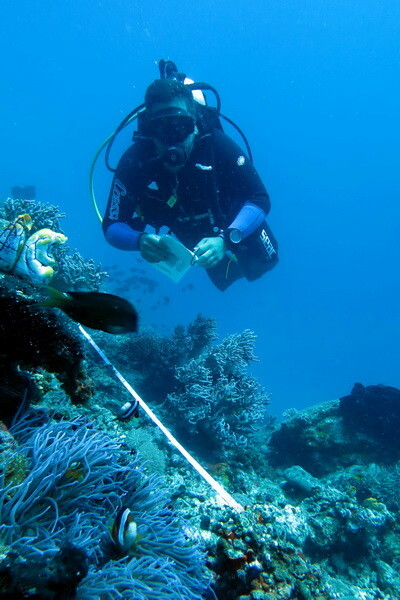 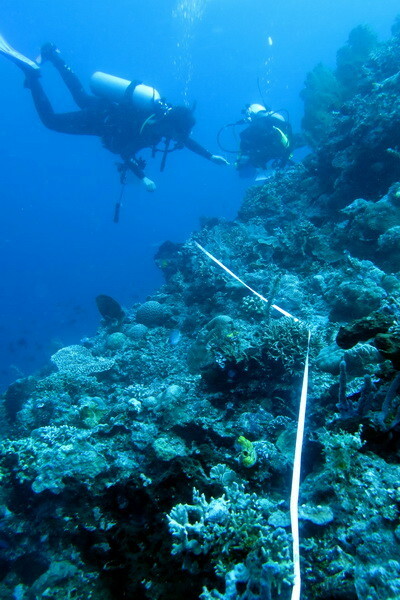 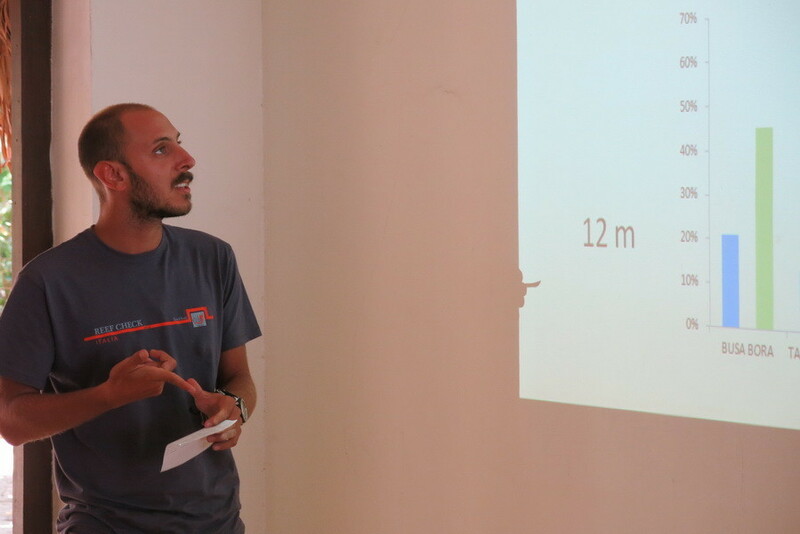 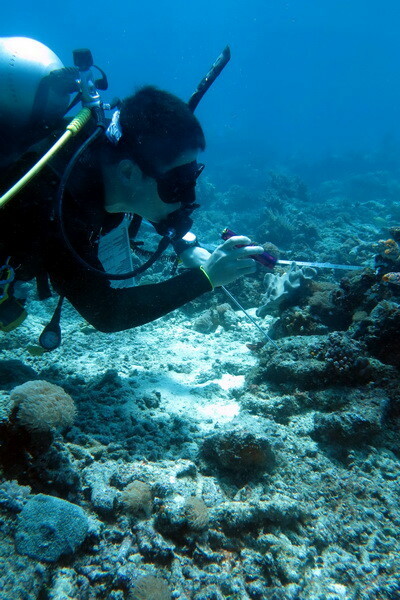 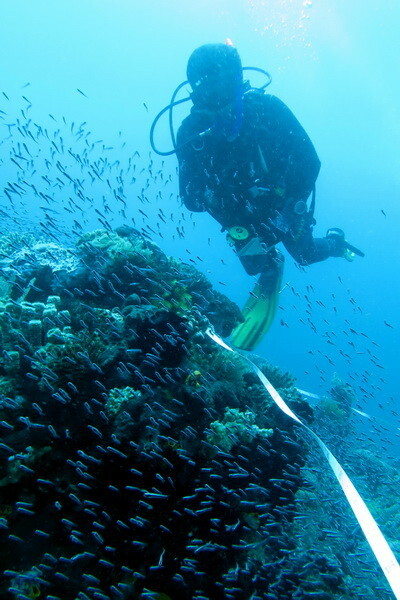 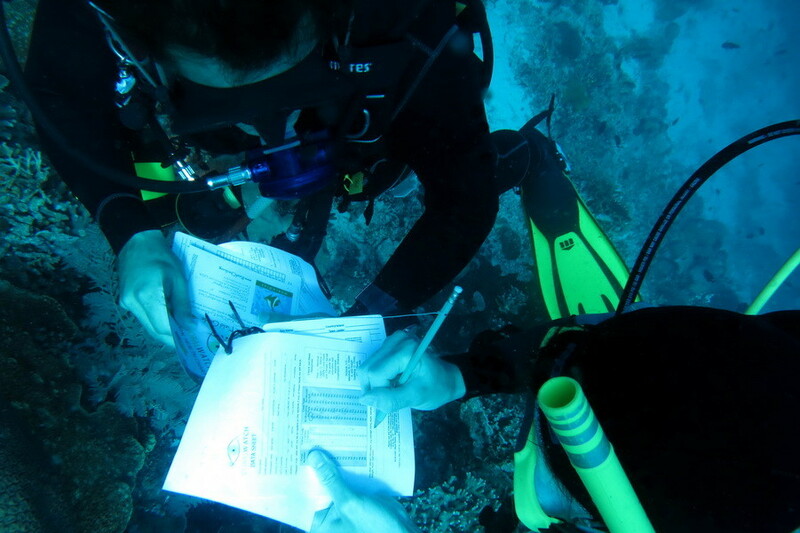 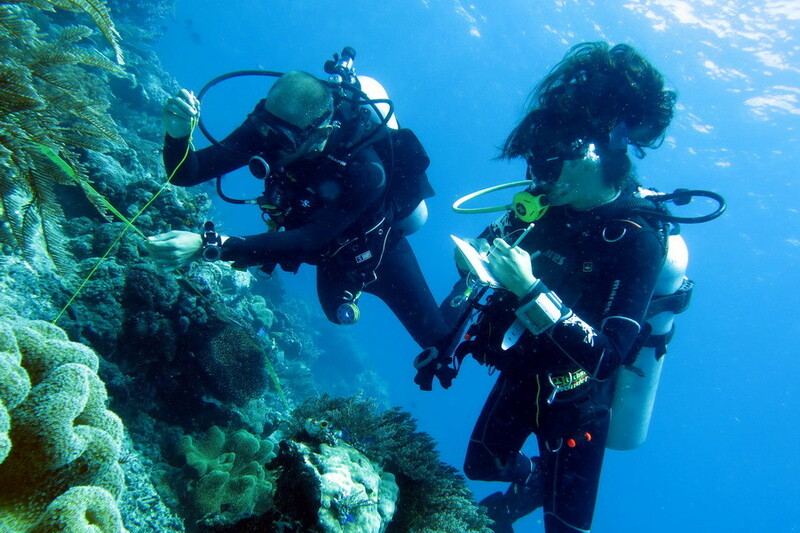 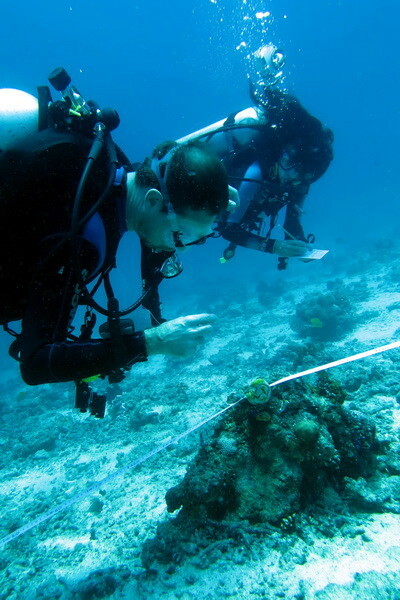 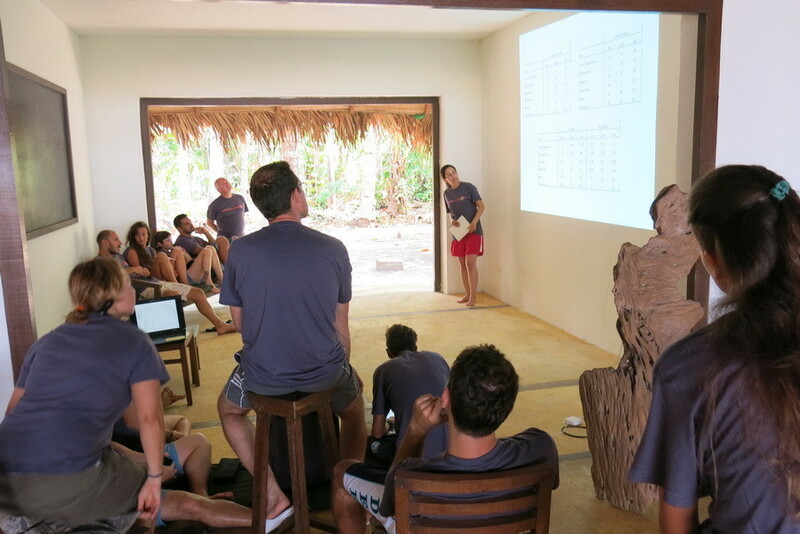 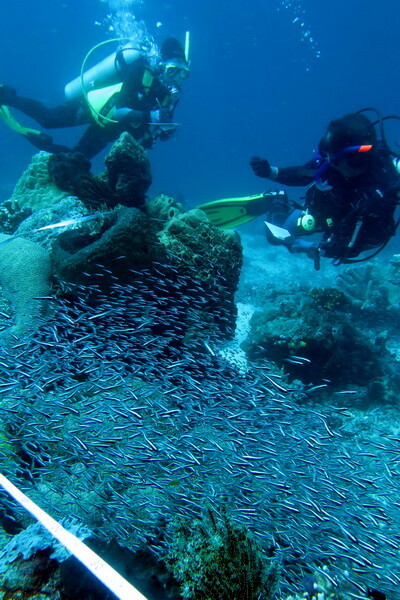 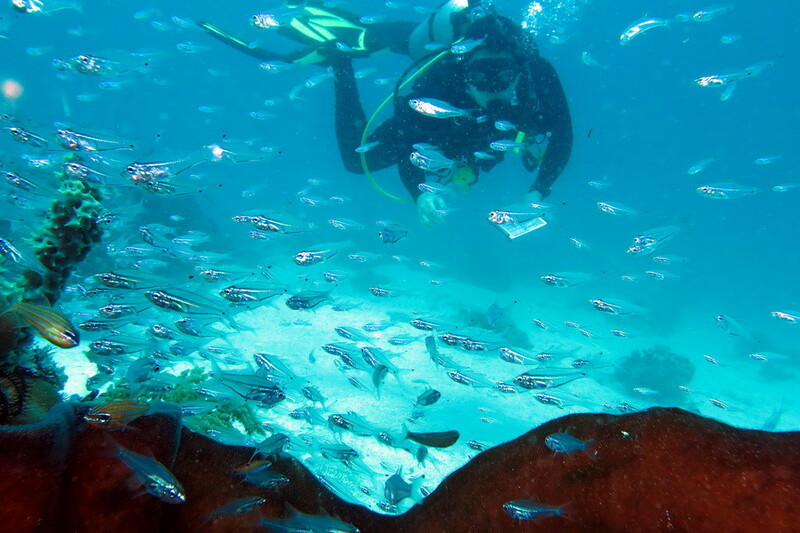 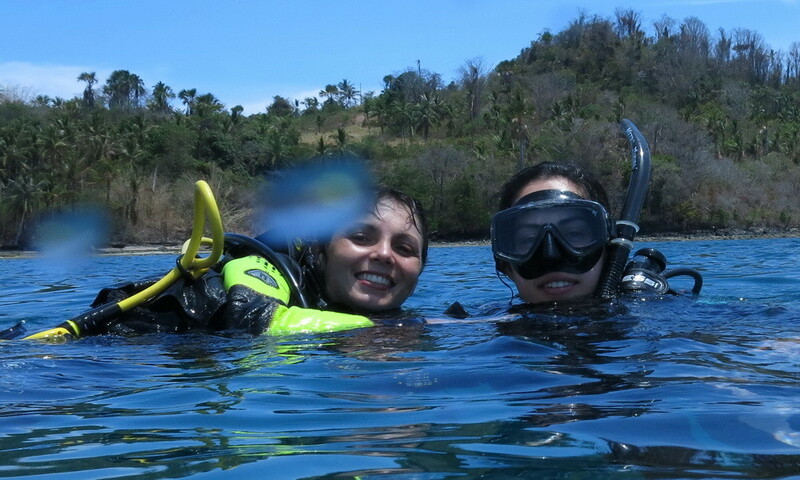 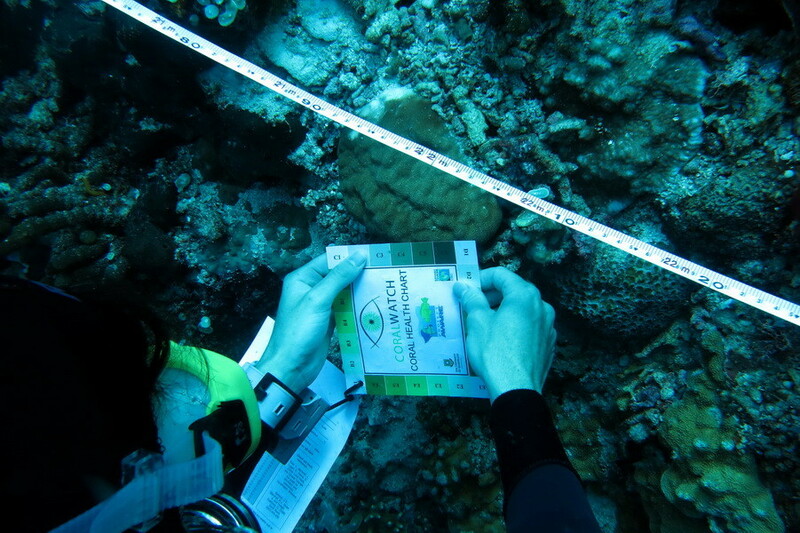 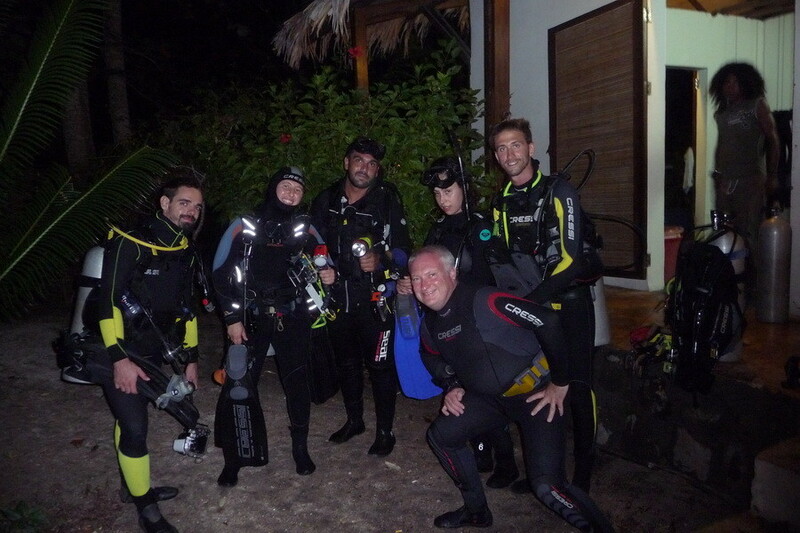 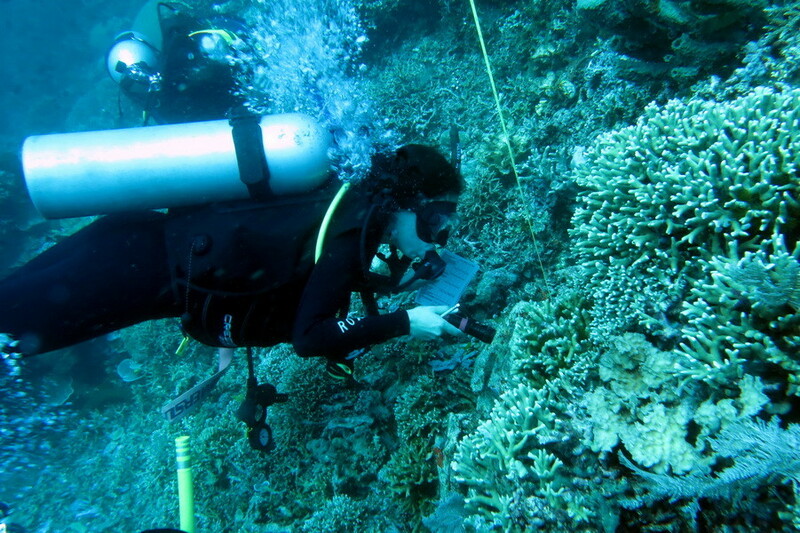 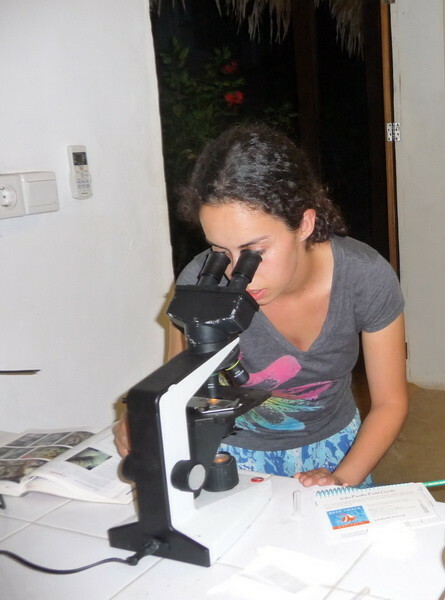 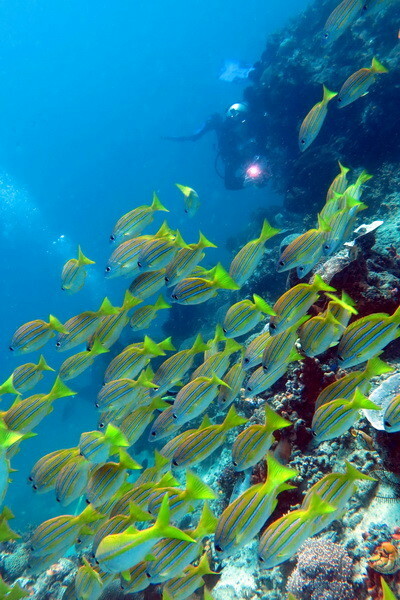 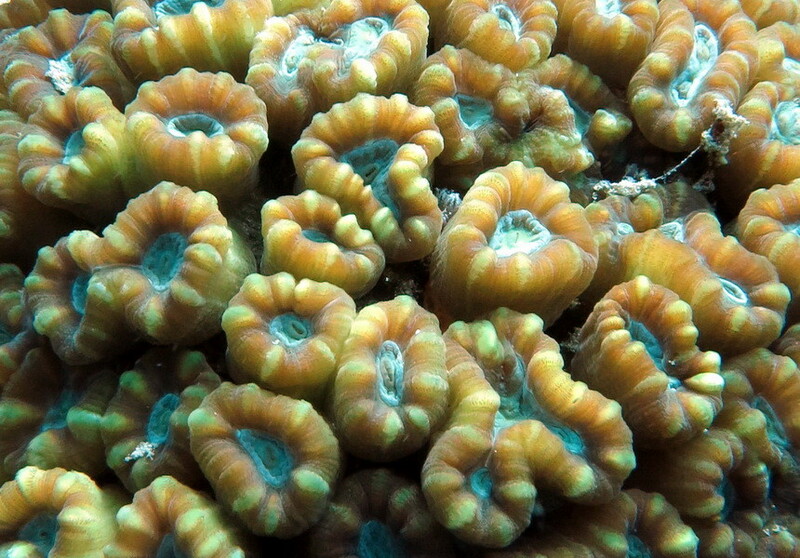 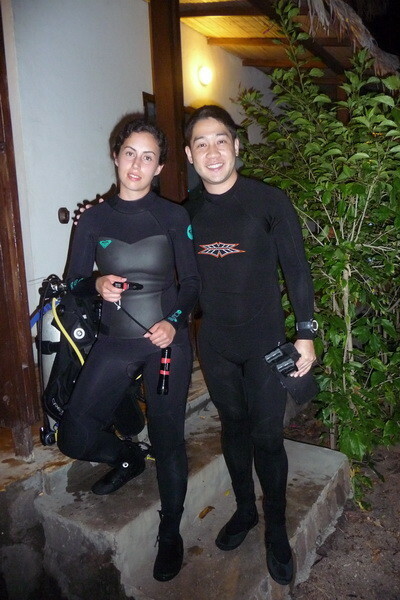 In addition to monitoring the reefs, participants also had the opportunity to improve their knowledge of hard corals in the global center of biodiversity, an area with more than 500 species of coral reef builders. 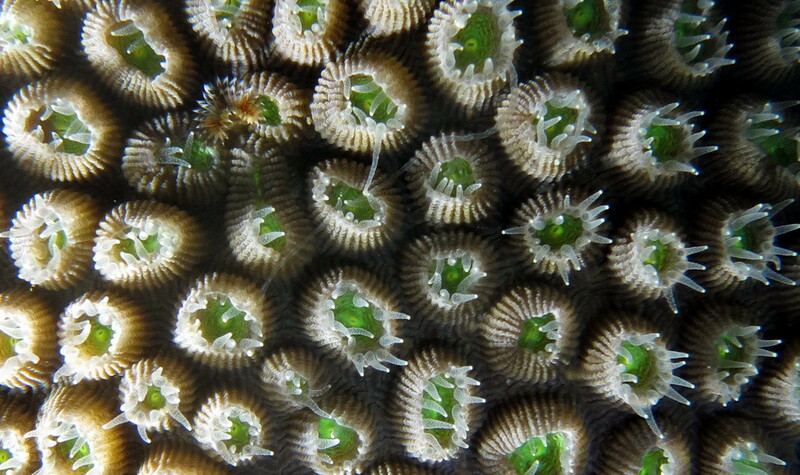 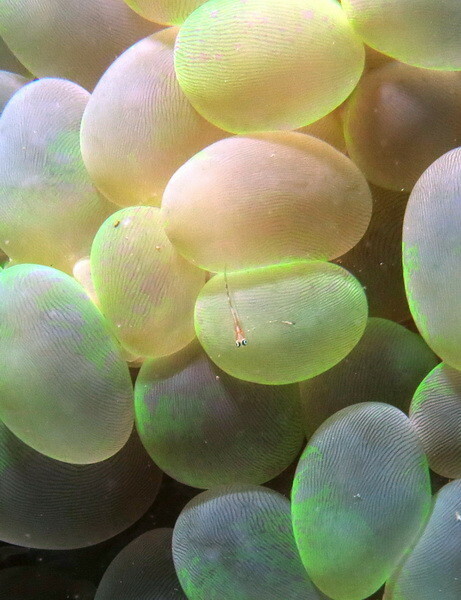 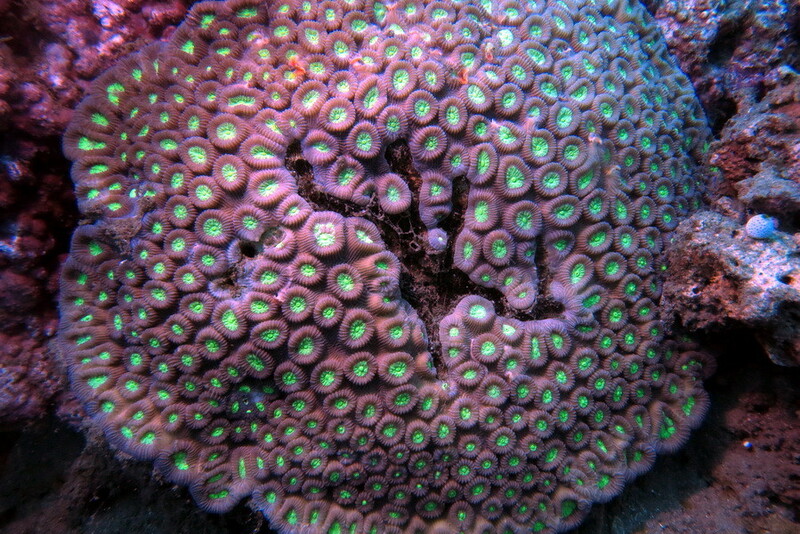 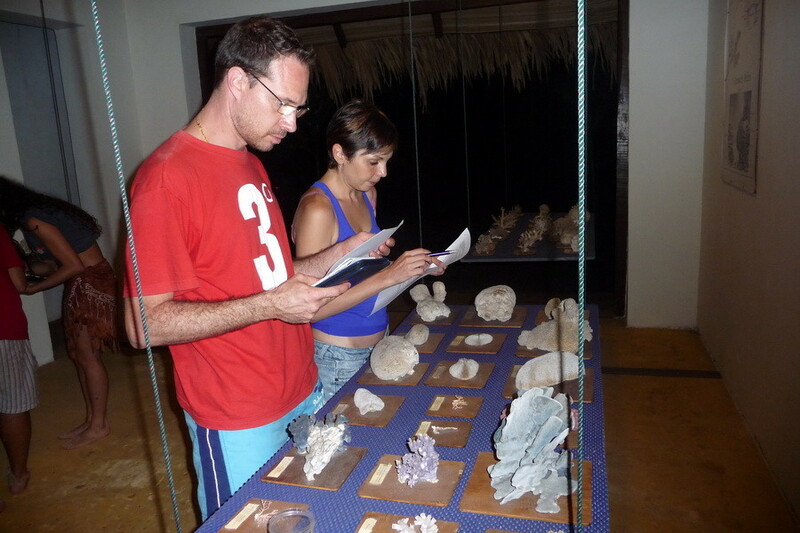 Thanks to the presence of the Coral Eye Museum, participants were able to observe samples of more than 50 genera of hard corals in the laboratory and then find the same genera alive in the water. 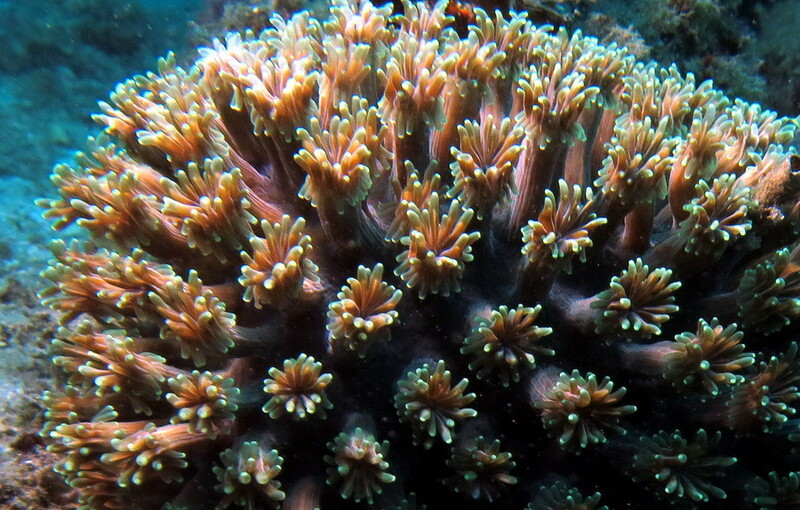 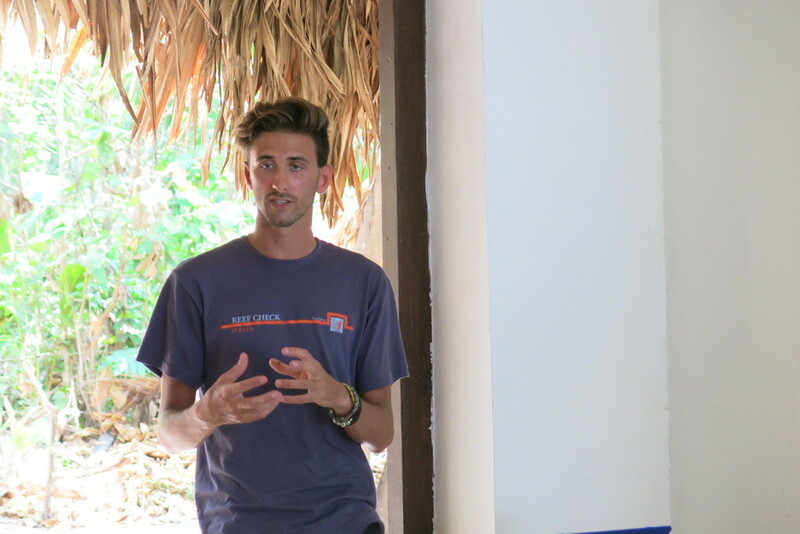 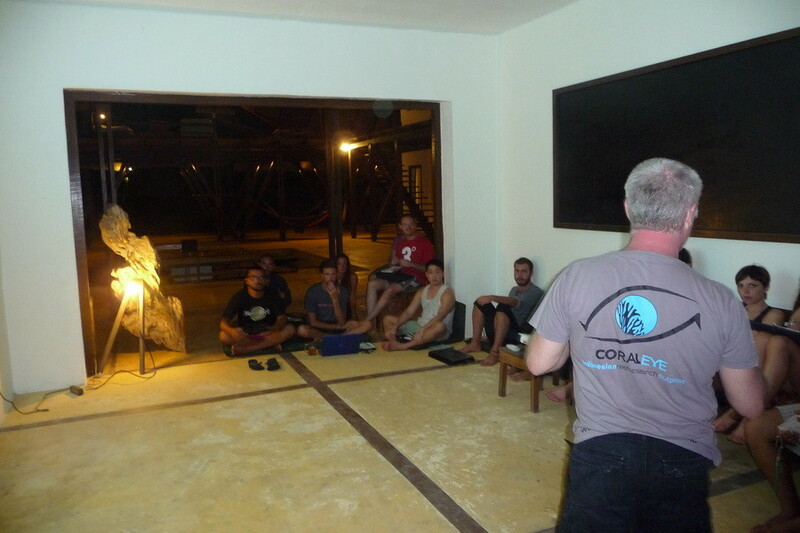 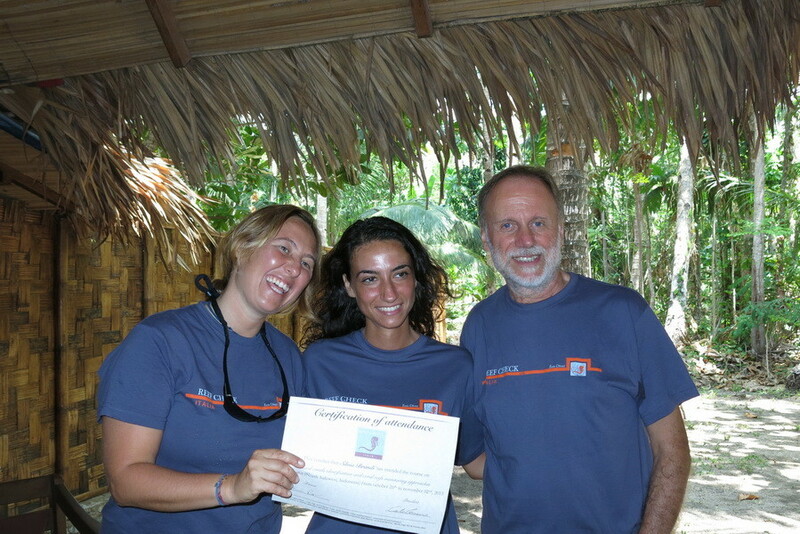 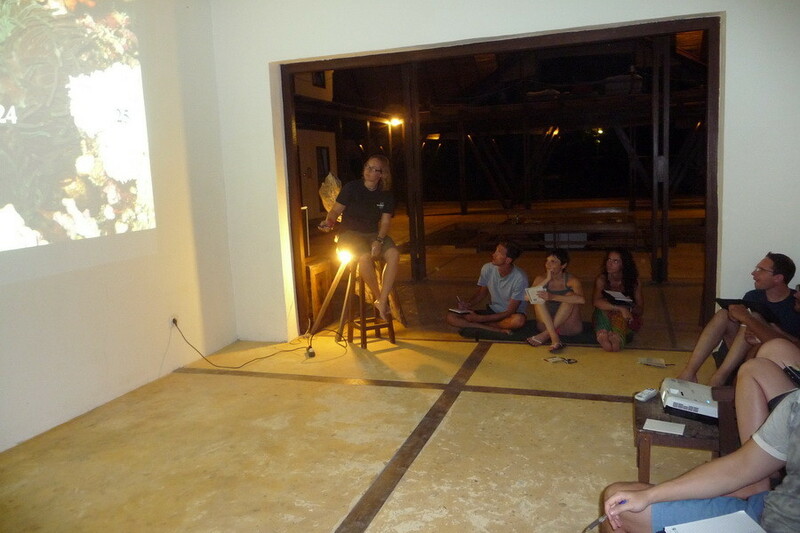 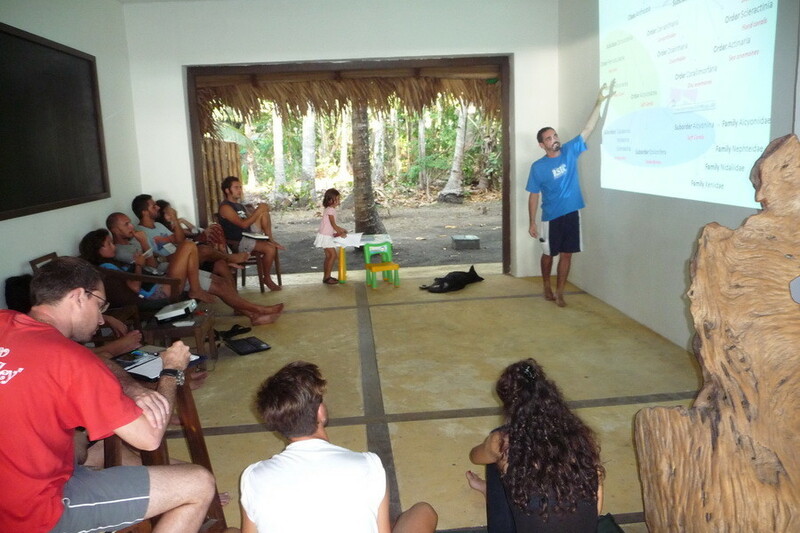 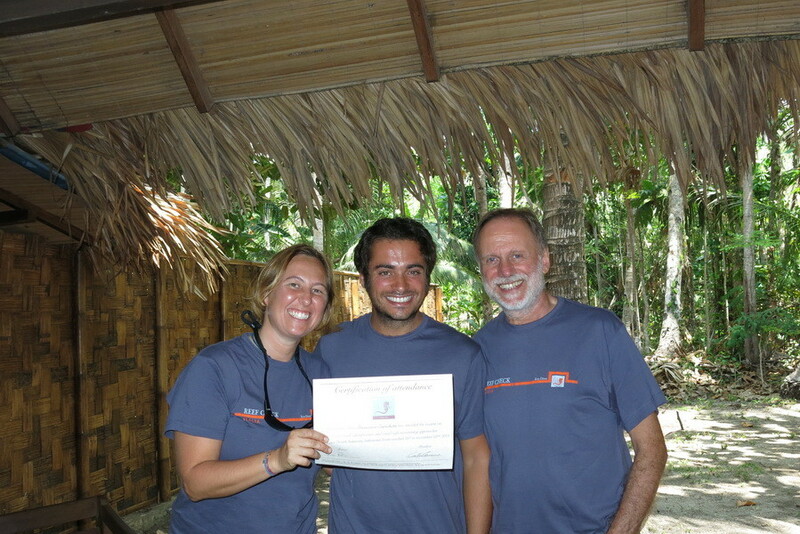 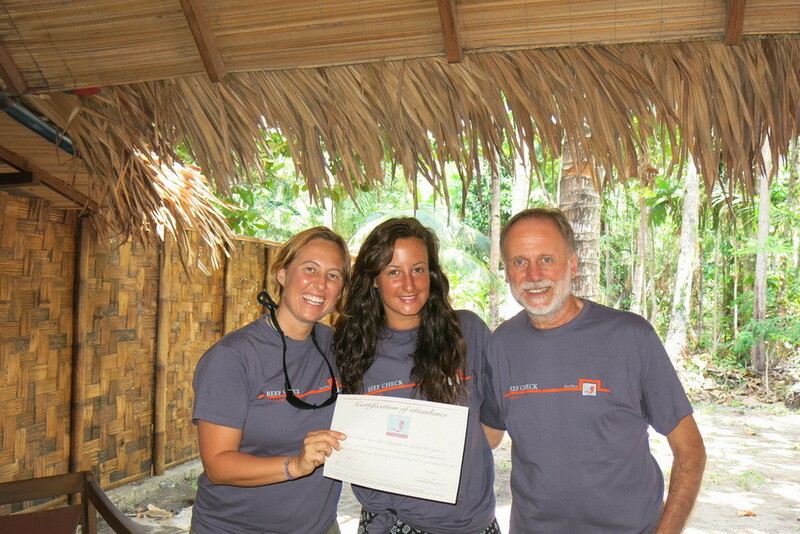 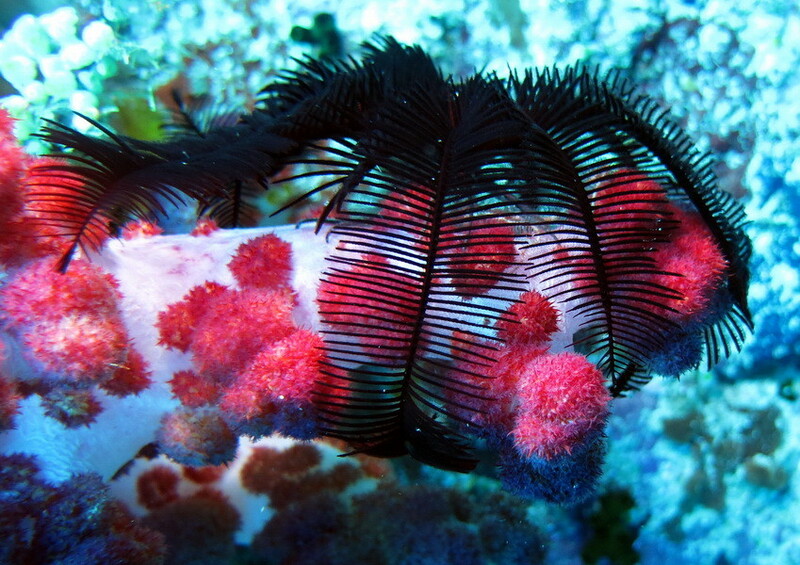 Furthermore, a new training session dedicated to soft coral and coral farming has enriched an already intensive program. 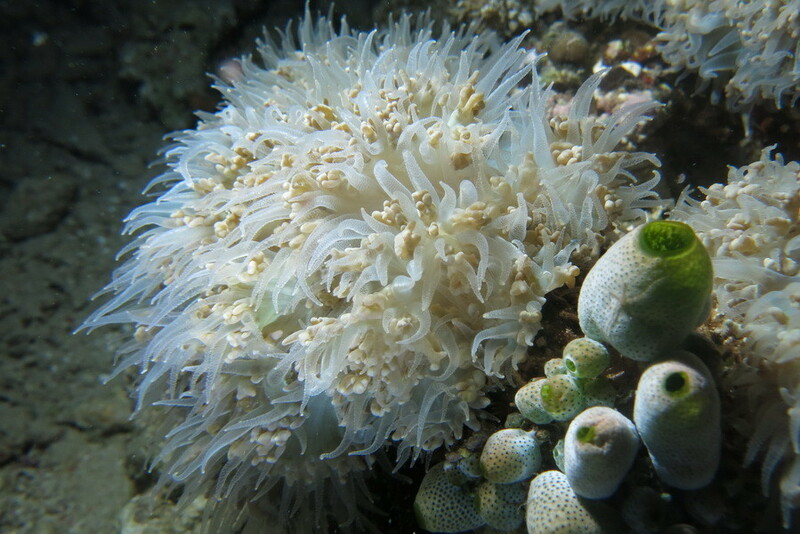 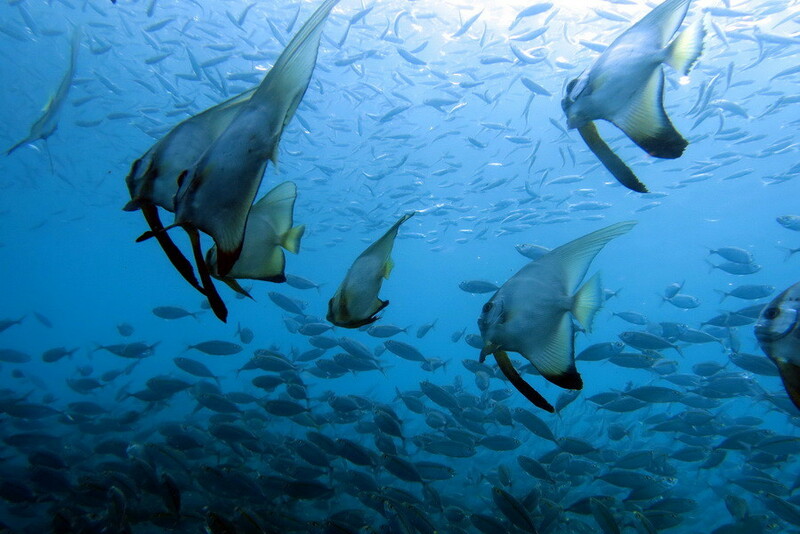 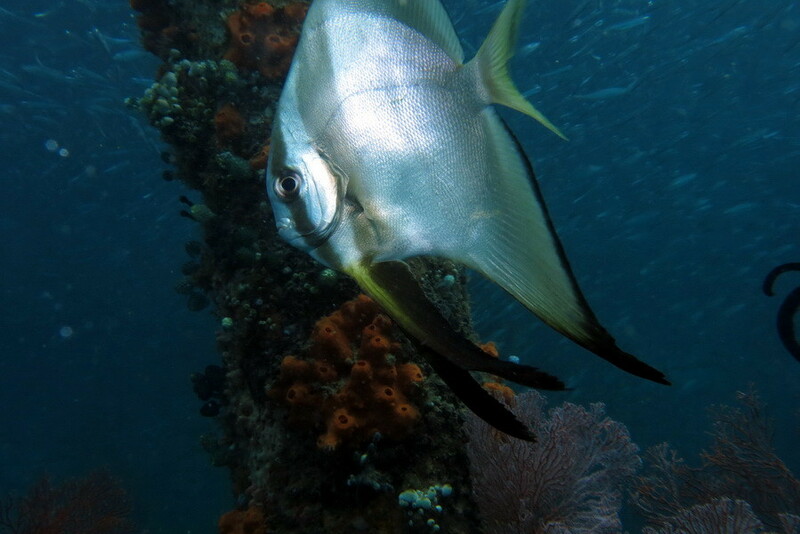 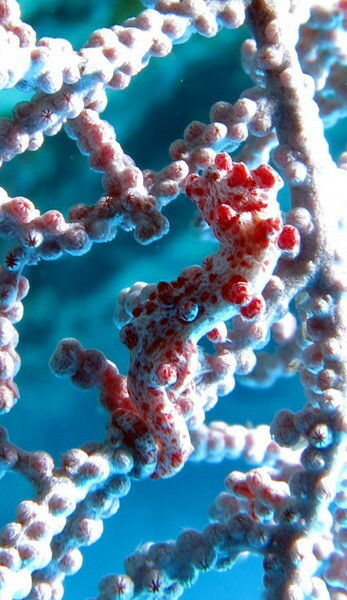 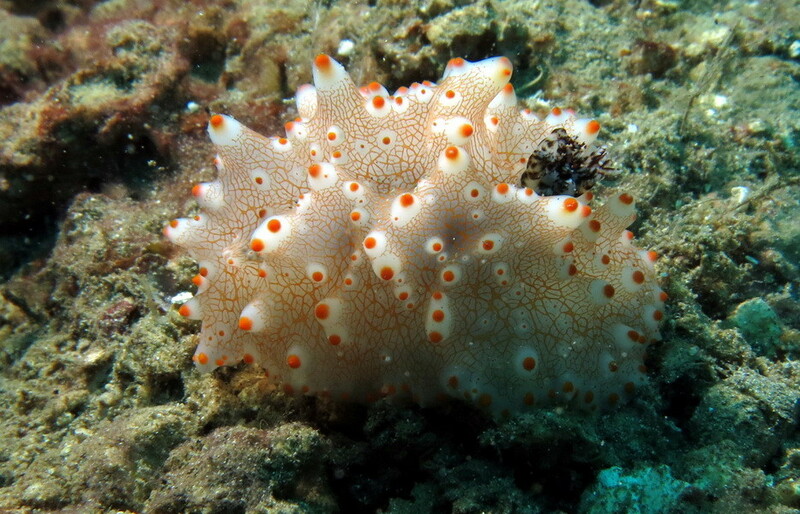 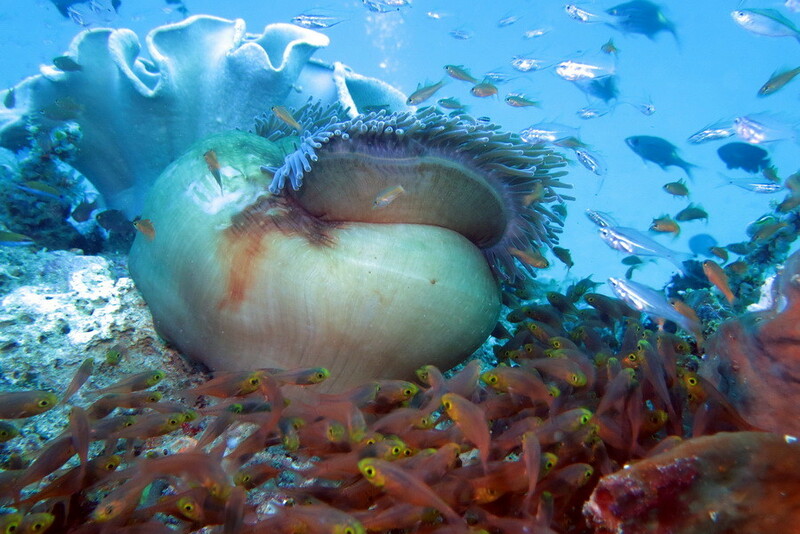 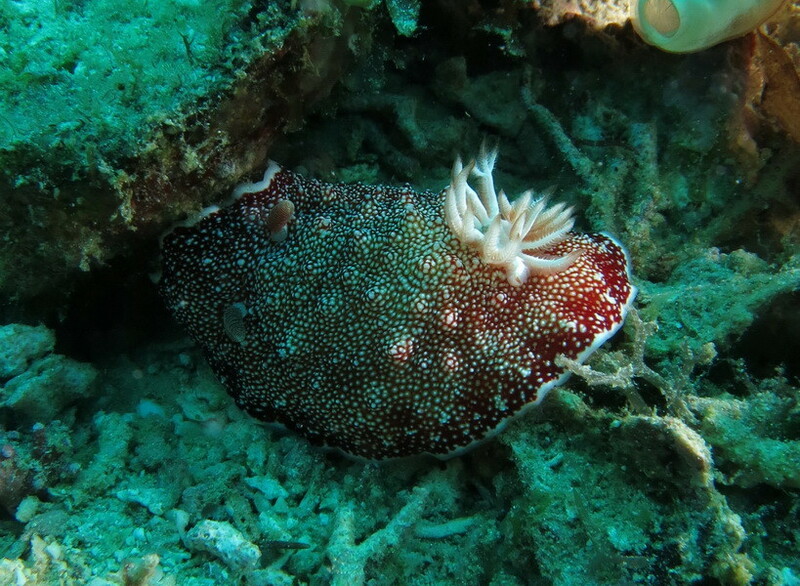 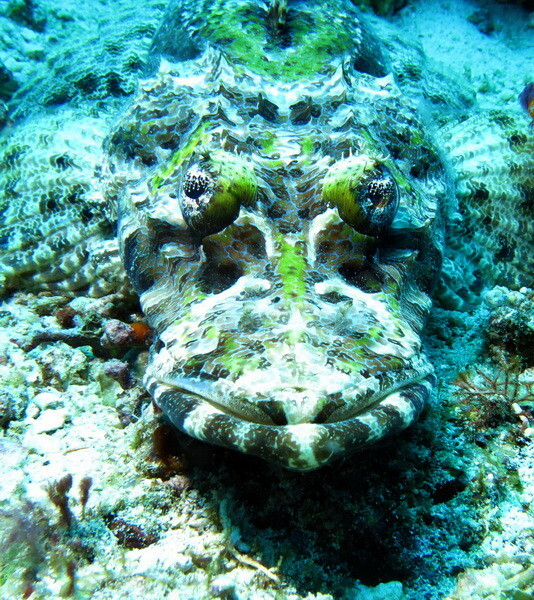 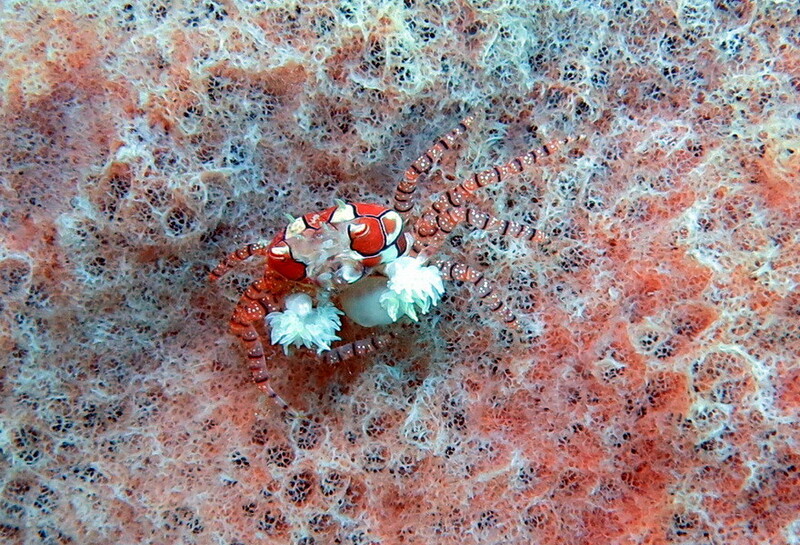 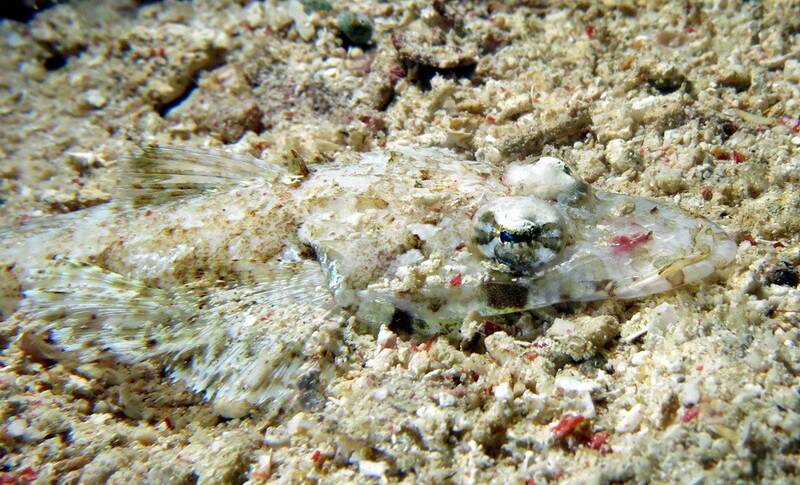 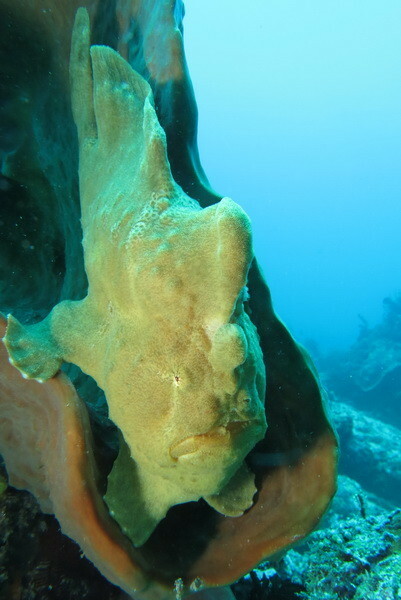 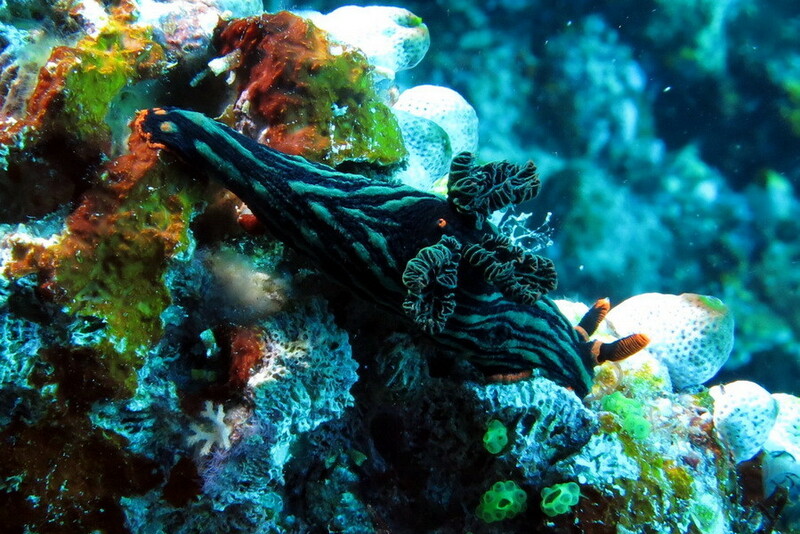 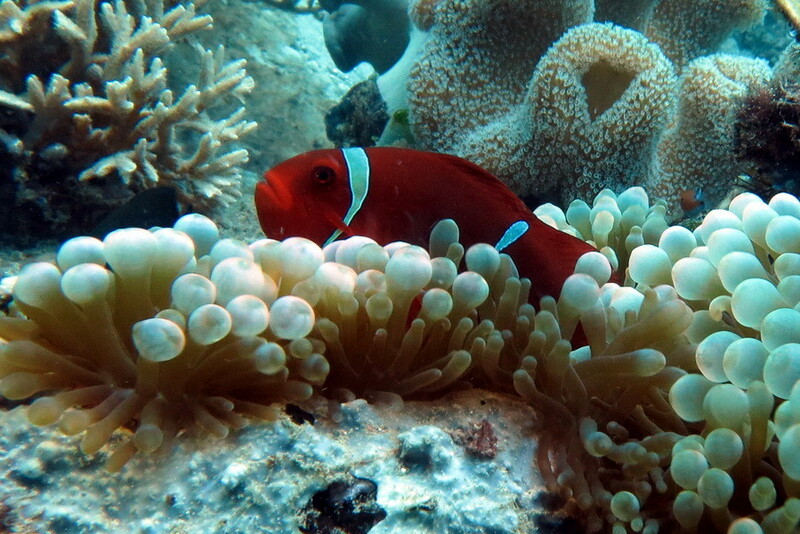 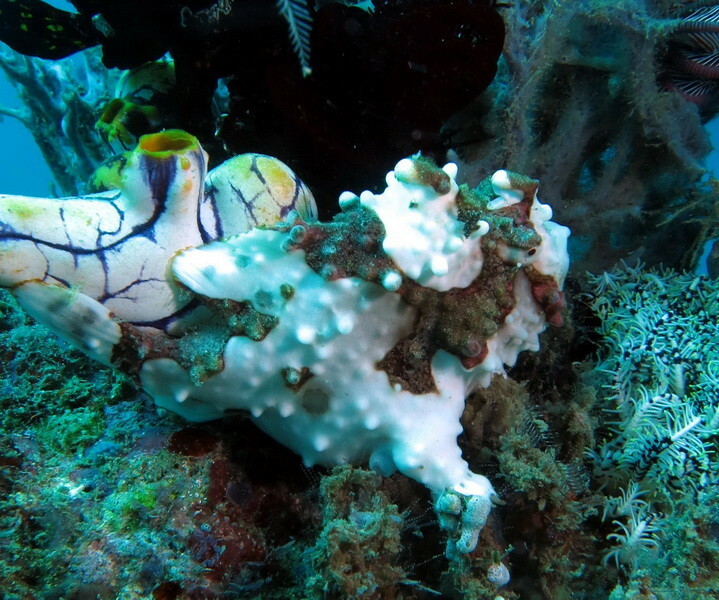 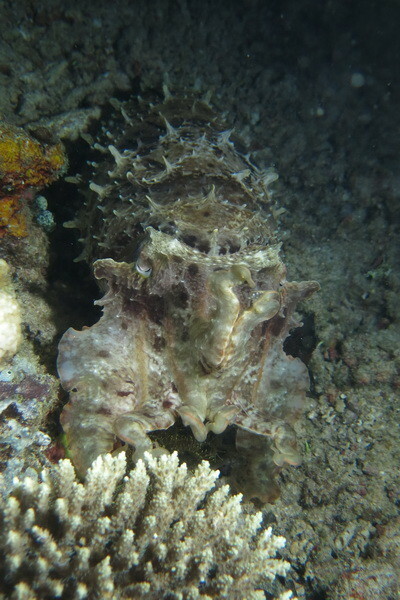 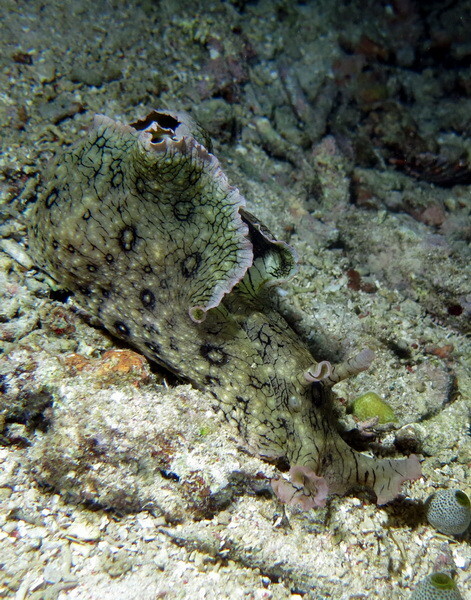 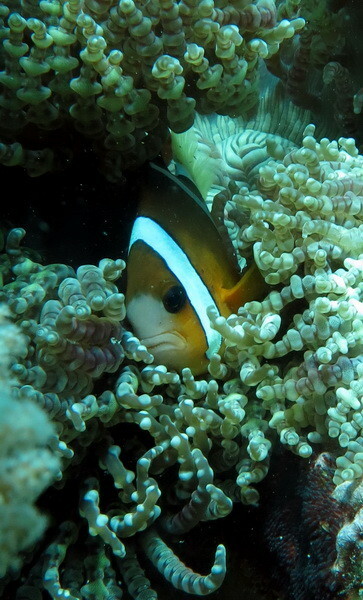 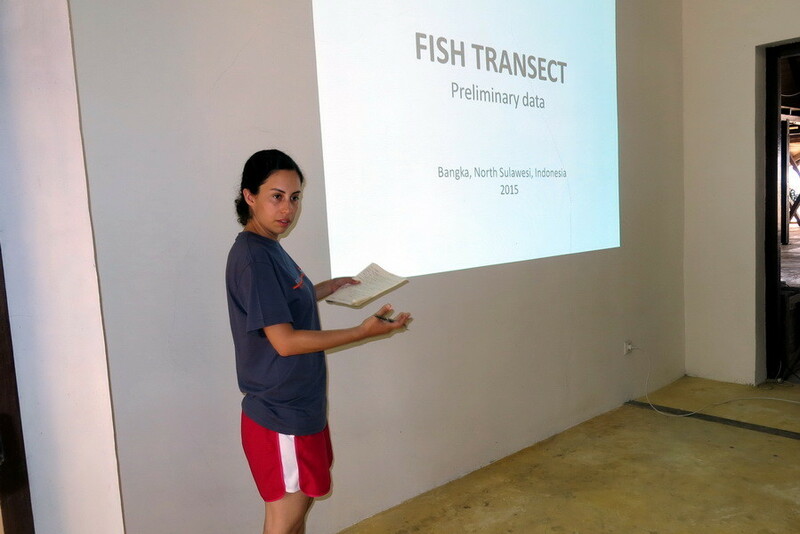 As documented in the previous five years of surveys, anthropogenic (manmade) impacts are the main problem that plagues the reefs of Bangka Island: mainly pollution and, in particular, overfishing which is characterized by the use of highly destructive techniques. 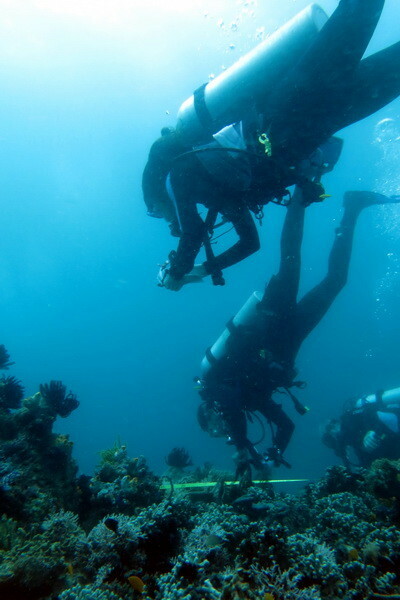 The most dangerous occurrence, that in these five years of monitoring has mainly threatened the integrity of the reefs of the Island, is still the start of mining activity. 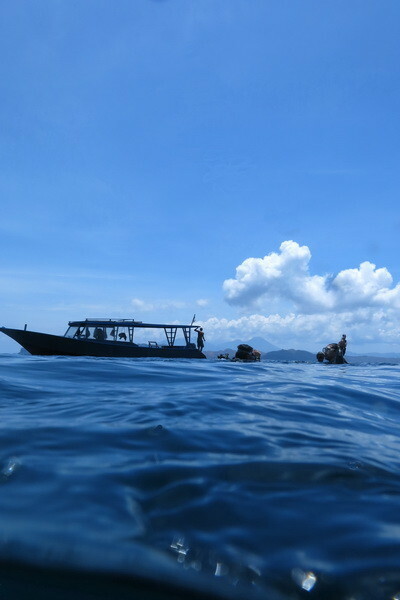 Now the Indonesian Supreme Court of Jakarta has confirmed the verdict that requires the Chinese company MMP to remove all the heavy machinery from the island, but this doesn't mean that the Island has definitively resolved its problems. 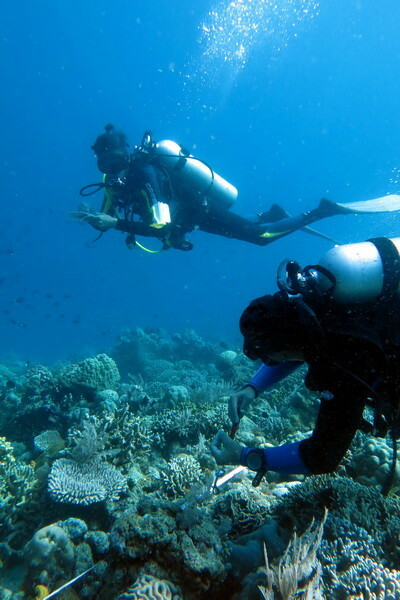 Continual and careful monitoring will be always necessary. 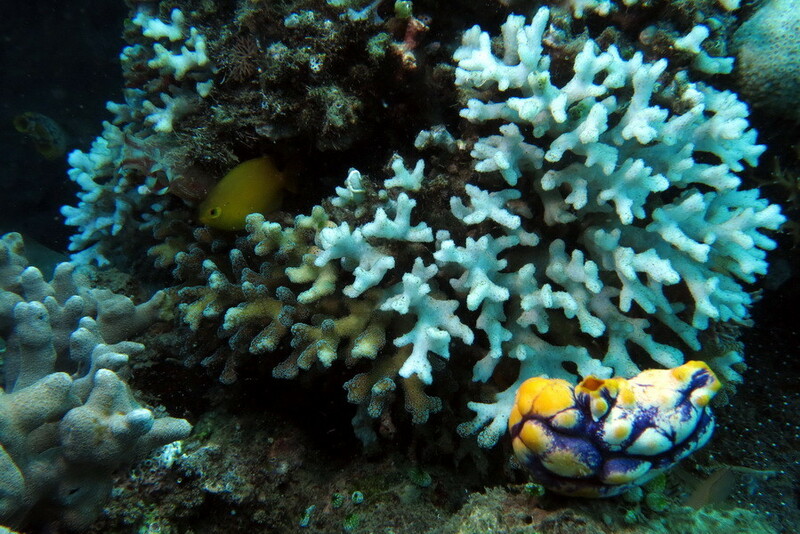 While the current global bleaching event which has triggered the alarm for many reefs around the world seems to have spared the Island of Bangka, it does not mean they will be immune to bleaching in the future. 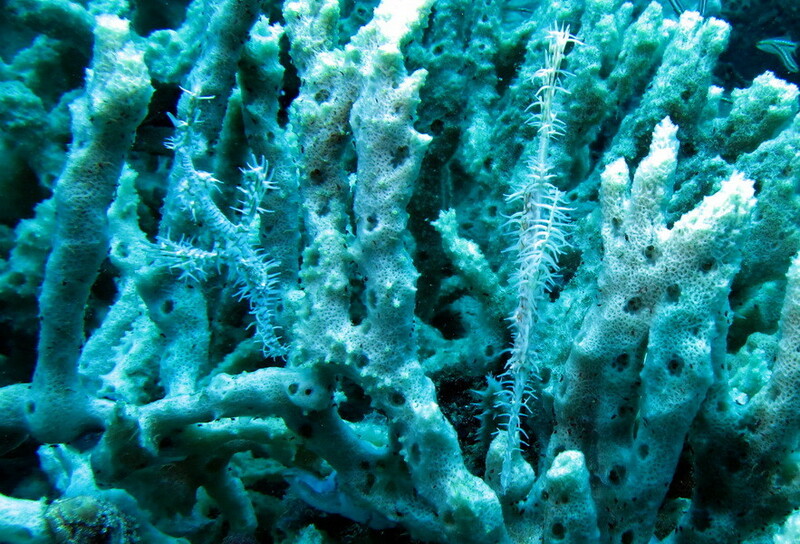 The final agreement that nearly 200 governments have subscribed to at the 2015 United Nations Climate Change Conference in Paris is a very important decision and could be scientifically robust in the aim of reducing the impact of anthropogenic global warming on coral reefs. 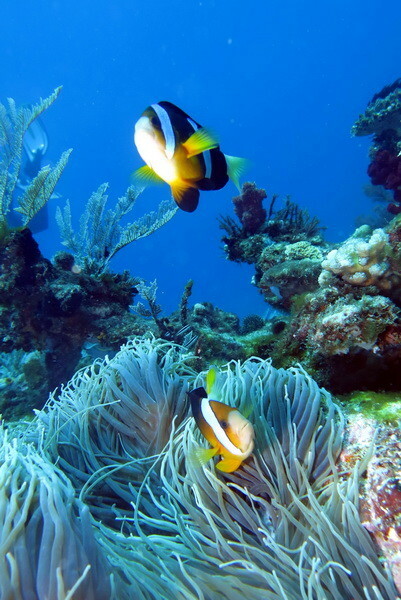 Decreasing the overall warming well below 2°C could guarantee the survival of coral reefs for future generations globally, but we are still very far from these targets so it will be fundamental that everyone of us play a role in the achievement of these objectives.